I was intrigued when I saw “olive oil” in the title. I tried it. It was good. I might make it again. I was a pretty uneventful process. 3/4 cup olive oil (extra-virgin if desired), plus additional for greasing pan (or pan coating) Note: I went for the extra-virgin. If you really like olive oil, you’ll love it. Put oven rack in middle position and preheat oven to 350°F. Grease spring form pan with some oil, then line bottom with a round of parchment paper. Oil parchment. Beat together yolks and 1/2 cup sugar in a large bowl with an electric mixer at high speed until thick and pale, about 3 minutes. 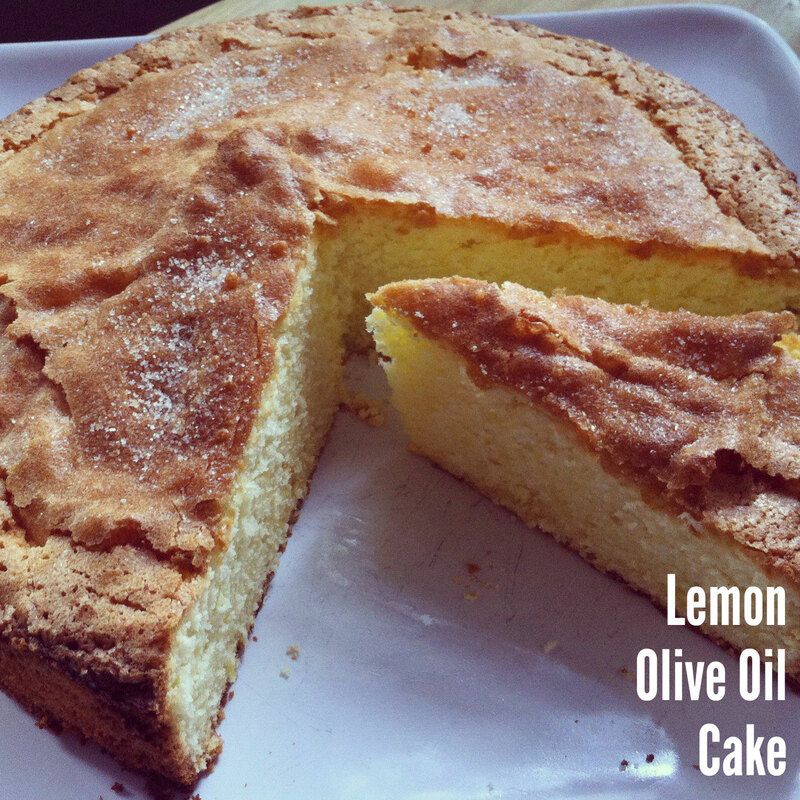 Reduce speed to medium and add olive oil (3/4 cup) and reserved lemon juice, beating until just combined (mixture might appear separated). Using a wooden spoon, stir in flour mixture gently, until just combined. Beat egg whites (from 4 eggs) with 1/2 teaspoon salt in another large bowl with cleaned beaters (make sure they are bone dry) at medium-high speed until foamy, then add 1/4 cup sugar a little at a time, beating, and continue to beat until egg whites just hold soft peaks, about 3 minutes.